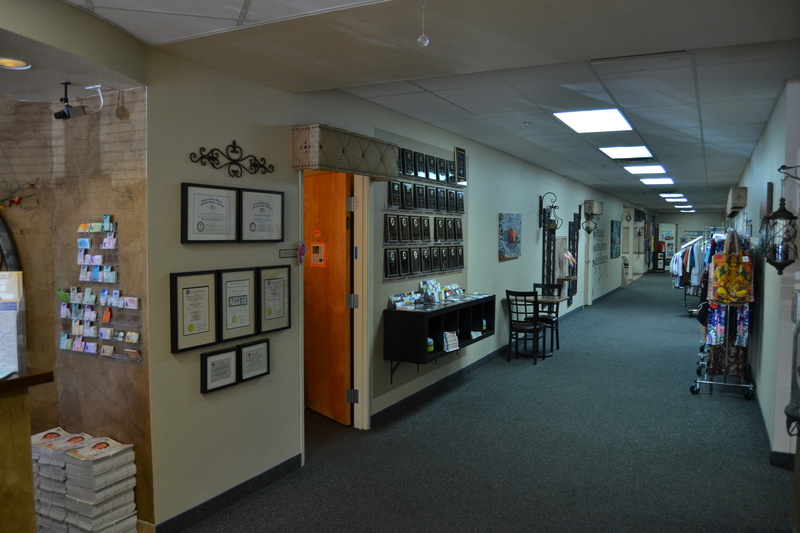 For more than twenty years, SWIHA has been providing the highest quality education in a vast variety of healing arts. We know that more than half of our new students enroll based on recommendations from our former students. We invite you to schedule a tour and discover why our students and alumni can’t wait to spread the word! Our campus is near the heart of Tempe, close to Arizona State University. We are within walking distance of restaurants, coffee houses, shops and the public transit system, including the Valley Metro Light Rail with trains arriving every 12-15 minutes. SWIHA understands that not everyone can attend school full-time Monday through Friday. That’s why we offer day, night and weekend classes as well as online classes that you can attend anytime, anywhere, allowing you maximum flexibility to create a schedule that works best for you. SWIHA encourages you to go with classes and instructors that you are intuitively drawn to. Our state-recognized and nationally accredited programs provide you with comprehensive training by dedicated, accomplished instructors actively practicing in their particular healing arts fields. We’ve built Self-healing and Self-empowerment into our training programs, recognizing that personal healing and growth are necessary before going out into the world to offer professional healing and growth. As our mission states, our programs are designed to inspire individuals who are interested in a career in holistic healthcare, to discover their gifts and graces, and support them as they share their talents with the world in a loving and profitable way. SWIHA Online was born from the spirit of community found on campus that transcends our classrooms where you will form lasting, powerful friendships and meaningful professional connections with like-minded people. We provide a profound and affordable education to those entering the healing arts profession, continuing their education, or who are seeking personal and spiritual growth. Through SWIHA’s online learning platform, our diverse body of students and instructors across the world unite to form a global learning and holistic healing community, emphasizing service, spirit, and transformation…both for you and your future clients. Our dedicated instructors and staff walk alongside you on this journey to foster and support your learning and growth as a healer. With their expertise, you will learn how to Touch Lives, Heal Bodies & Free Souls. Further, you will have access to Our Success Center where we are committed to providing on-going entrepreneurial support for holistic healthcare practitioners in private practice, as well as those joining, establishing, or growing a business. We are committed to providing you with choice and flexibility in your education. SWIHA Online is an environment that focuses on celebrating diverse learning styles and delivery systems, teaching self-healing, self-empowerment, self-sufficiency, and entrepreneurship to individuals seeking to serve their higher purpose and their communities. You aren’t alone – we consider your success to be our success! You will have a dedicated online academic advisor to support you as you turn your dream into reality. Further, our profoundly committed and passionate instructors will guide you through your courses, helping to foster your gifts and develop your skills. We also encourage you participate in the course community forums and join the various online communities, where students share experiences and support one another as they progress through their programs. We welcome you to join this unique and enlightened community. This is your invitation to walk your destined path toward your purpose. This is where you belong. *Use of the Canvas mobile app is supplementary and a means to review digital content; however, students are required to have a personal computer to be able to fully complete coursework.